Sensory Overload with Mucca Pazza! So, I got a text from my good friend Karyn the other day as I was wrapping up a shoot. It said “20 people in this band, you’ve GOT to come check it out. The sound check was amazing!” Now, you need to understand, Karyn has fairly discerning musical tastes, for her to get this excited, I knew it had to be good. That being said, I knew I had no other option but to see the show. I wasn’t really sure what I was in for, but once the music started I was in awe! Its rock ‘n roll meets marching band, in a crazy theatrical production out of a fever dream! I LOVED IT! They were replete with a drum corps and a cheerleader. As the show began, the drums entered from one side of the space and the horns from the opposite. Once they got to rockin’ the room was simply filled with sound. It was such an exciting show, and the crowd was equally blown away. Had I known who they were before they hit town, you best believe I would have set up an interview. That being said, if they come to town again, I will be there with a microphone in hand! If you see this band coming to your town – it is a MUST SEE EVENT! 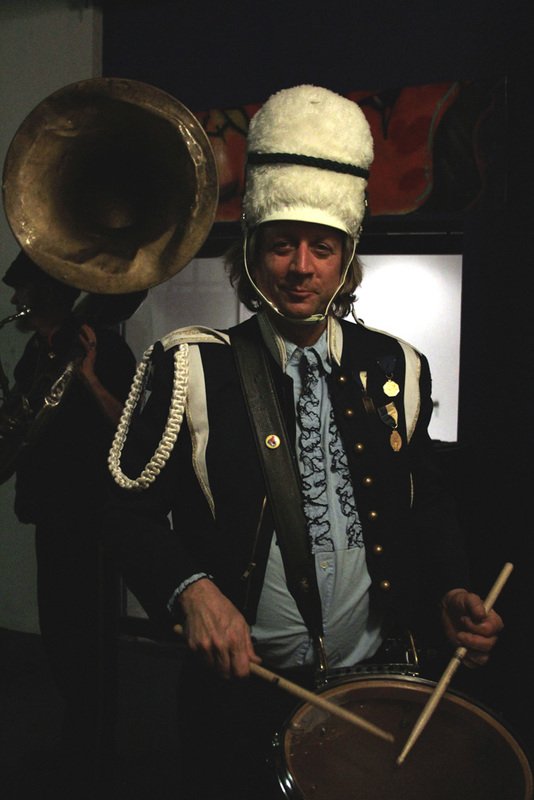 To check out the band and learn more about them visit: http://mucca-pazza.org/ Even their merch is amazing! check out this video of the band in action! This entry was posted in akron, Art News, music, ohio, shows, theatre and tagged akron, art news, museum, music, musica, ohio, show, theater, theatre. Bookmark the permalink.